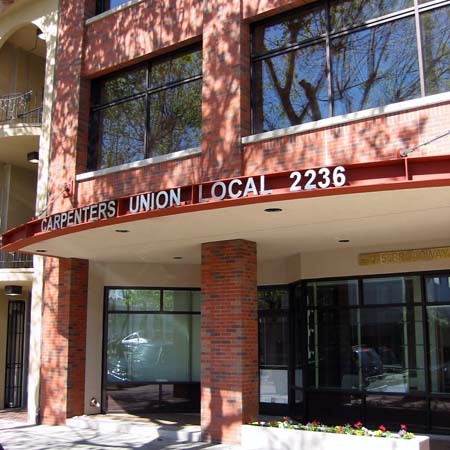 Located in the Jack London Square district along Broadway, this new building provides ground floor headquarters for the union and two levels of office tenant space. 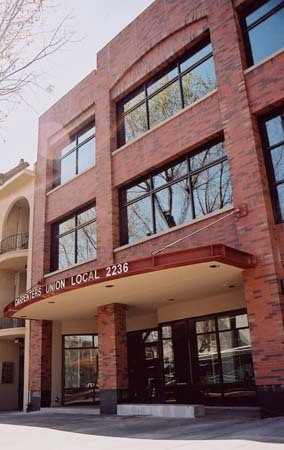 It is the new home to the Carpenter and Woodworkers Local 2236. The lobby features cherry wood detailing celebrating carpentry and wood craftsmanship. The building borrows features of older brick structures in this industrial section of town and has a large central open air courtyard bringing natural light and fresh air to the core and all floors of the building, providing natural ventilation and energy savings.